When you are getting ready to move, one of the things that is likely on your “to do” list is to turn in a USPS Change of Address form to your post office for your postal address change. This ensures that mail that is still addressed to your old address will be forwarded to your new one. But people getting ready to move are very busy, and may not want the hassle of going to the post office to find the form and fill it out. There is now good news for busy movers. You can now fill out a USPS Change of Address online in as little as 2 minutes! You could go to the USPS website to submit an online change of address. But there is a hassle involved with that too. The online form is hard to find on the site. When you do find it, it is several pages long. There is a $1.00 charge for the “convenience” and for “identity verification”. Finally, you need to enter your credit card information to pay the charge. It is more of a hassle than it needs to be. The good news is that there are now 3rd party sites that will submit your USPS Change of Address to the Postal Address Change service on your behalf for free. There is a simple one page form that takes 2 minutes to fill out. You simply go to the site, fill out the form, and click “submit” and they will promptly and securely send the information to the Postal Service. There is no searching to find the form, no credit card is required. You will receive verification of your address change by email and by regular mail at your old and new addresses. What’s the catch, you ask? It is not really a “catch”. The sites simply want to be able to give you coupons and inform you of special offers for services at your new location. For example, they may send you special offers for cable TV, satellite, telephone service, or coupons for the local hardware or home improvement store. These offers can save you $100s of dollars per year should you decide to take advantage of them. Moving means that there are a lot of little tasks that need to be completed in order to have a successful move. One of those tasks includes changing your address. That is why you need to know some essential change of address tips when moving that will make this task so much easier to complete. Below are the essential tips that you need to be aware of and use if you want this task to go smoothly and if you want to ensure that no one is forgotten. 1. Confirm your new address – This may sound strange to many people but it is very important. You want to be 100% sure that you are giving out the correct address to everyone so you have to take time to confirm your new address with the landlord or real estate agent. You also want to contact the post office in your new area to make sure that the address is on their postal route. This way you can be sure to let them know that you will be moving into that address so they will know to deliver mail to you. 2. Make a list – It is a smart idea to make a list of all the companies and people that you need to inform about your change of address. This will take some time to complete but it is well worth the time spent because it will help ensure that no one important is forgotten. Be sure you give yourself plenty of time to make your list and plenty of time to contact everyone on it. 3. Visit post office – This is one of the first changes of address tasks that you need to take care of. You want to visit your local post office and get a change of address form from them. Complete it and be as thorough as possible when you fill it out so they have all the important information they need to get your mail to you at your new address without problems. 4. Contact all important parties – You have to take time to contact everyone that needs to know about your address change. Start doing this well ahead of the scheduled move so that no one is forgotten and don’t forget to use the list you made. Now that you know what these essential change of address tips when moving are you will be able to complete this task much easier. By following these tips you can be sure that everyone that is important is informed of your change of address so there are no problems later on once you are settled into your new home. Changing your address with the post office is a crucial issue to take care of in advance of your move. You don’t want to miss out on any important bills, financial statements or many other items that may still have your old address on them. It used to be somewhat of a hassle to amend your address with the post office. You were required to attend the post office, wait in line, request the necessary forms from the clerk, complete and return it. There have been issues where a postal worker had difficulty reading somebody’s writing, or entered some information incorrectly on the system. When your completing the post office ‘Postal Address Change’ form, you must have your current details with you, such as your current address, the new address you will be moving to, the date when you’re moving, and the date from which you want the postal service to begin the process diverting your mail. However, thanks to modern day technology, and widely available broadband, you can now complete the ‘change of address’ form over the internet. The online ‘change of address’ form simply requires a matter of minutes to complete; it’s a one page document which includes your new and old address details. When you send your ‘change of address’ form, most mail that is still addressed with your name to your old address is going to be forwarded to your new address for a period of one full year from the start date you advised in the form. This includes First Class, Priority Mail, and Express Mail. Various other post (such as newspapers as well as magazines) is going to be forwarded for about 60 days. Common mail (which can include fashion magazines, flyers, non-profit mailings, etc.) aren’t going to be sent. It’s discarded unless there are specific instructions on the mailing to redirect it. When you’re moving home, you must inform the post office together with other companies that you’ve an account with, that you’re changing address, as soon as possible to guarantee you do not miss out on any post. You’ll want to check the US post office website for more information and advice on changing your address, and which paperwork you might need. If you have any issues finishing the online form, you can phone the help line, where a service operator will answer all of your concerns. When you have completed the online post office change of address form and submitted it to the system, you can be rest assured your post is going to be re-directed, and you’ll continue to receive all your mail, without interruption. Moving from one home to another home requires many tasks. These tasks include packing up, cleaning up, locking up and other important things. There is one task that everyone who moves should take upon themselves to make a priority. You need to change your address. It is not necessary to fill out a post office change of address form to accomplish this. This can be done from your computer terminal at home, at the library or at a friends house. Its easy and takes very little time to do. All you need is the information on where to go to accomplish this. You will need to fill out a form and hit send. Yes, it is that simple and easy and free. It is not in any way whatsoever required that you fill out a post office change of address form. Take 2 minutes out of your valuable time and be sure to do this. You will very satisfied in the coming weeks after your move that you did. You won’t be wondering where your mail has gone. You won’t be wondering if someone is taking your mail from your old address trying to steal your identity. Keep your mail coming to your place of residence. 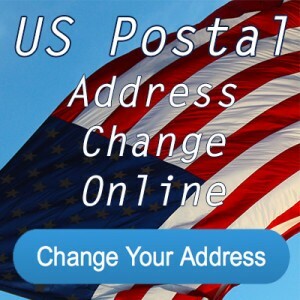 You no longer have to go to the post office to fill out a US Postal Service Change of address form. You can do it right on line in the comfort of your home. And the simple one page form only takes about 2 minutes to fill out. Fill in the requested information, click submit, and you can scratch this mundane task off of your list. You can then rest assured that you will not miss any important mailings. Bills, statements, checks, correspondence from friends and family will all be forwarded to your new address. In fact, all First Class mail that is still addressed to your old address will be forwarded to your new address for a full year. So any birthday cards and gifts, holiday cards, etc. that are sent from people who do not have your new address will still be received by you and you can then inform them of your new address. After a year goes by, the Postal Service returns the mail to the sender, and for 6 months notifies them of your new address by placing a sticker on the envelope. If you want to know about how to change the USPS then you will find all the possible information out here. Also, there are several hundreds of tips that will help you start on a new footing. You can have no junk whatsoever. If you are thinking of turning over a new leaf and changing your old habits into new ones then this is the right time to do so. All the junk and clutter that you have accumulated over the years and have been holding on to for life, can be removed once and for all to make way for new. Also, if you are fed up of telemarketing calls disturbing you, then you can completely block them out now. How blissful it will be not to have to answer calls to anyone trying to sell you anything. All that you will have to do is log on to this website and find all the possible tips that will make your move to the new house effortless. It will be such a bliss that you wouldn’t mind moving house often if it is so easy. It is mandatory that you file your change of address with the USPS change of address so that all your mail will be forwarded to the right address. You will not miss out on any mails or parcels this way. The way all the information is there at one place with numerous checklists will enable you to be able to done with all that is required for the move in a jiffy with the least bit of wastage of time. Do not let the move affect your stress levels. This can actually be a real stress free time if you are organized and know exactly what to do when. No doubt that you have several scores of tasks to complete, however if you go about them in a systematic manner, they will be done even before you know of it. The first thing to do is to find out and confirm your new address. This might sound a little bizarre not to know your own address but if you give a wrong block number or street name, then you will have to go through the whole rigmarole again. You certainly don’t want that happening. The best place to confirm this is through your landlord or the apartment complex you will be living in. ensure that you have entered your new address in the U.S. Post website. This is imperative as it serves three purposes. Firstly, it will enable you to know the postal system codes on your new address; you will get to know your zip code. This is a complete 9 digit number and knowing it will ensure faster mail delivery. Lastly, you will know if the street is registered with the postal department.